You receive the design with a blank center so add your own single or 3 letter monogram with software. 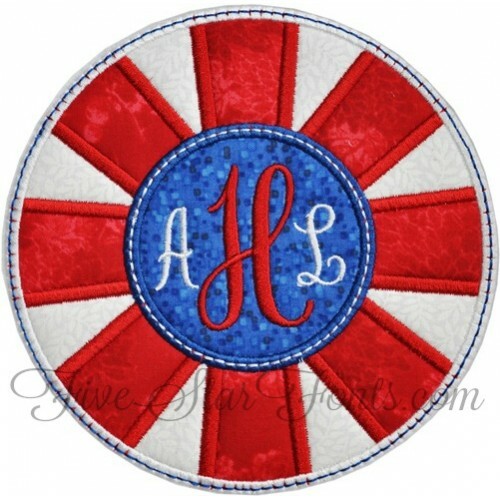 We used our Grace 3 Letter Monogram on the sample above. 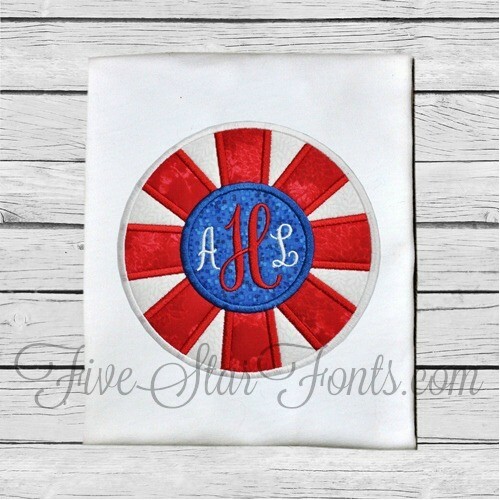 You can find the link to this pretty 3 letter monogram in 'Related Products' tab above. 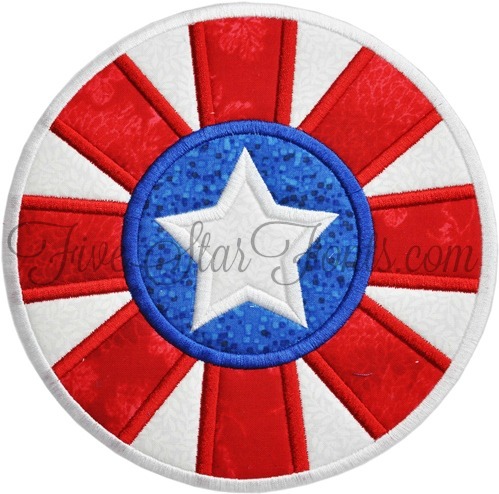 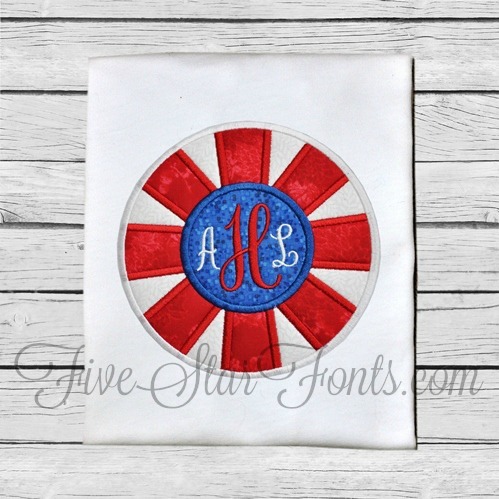 You also receive the design with a patriotic star in the center. We used our Krazy Cat Embroidery Font for Anna's name. 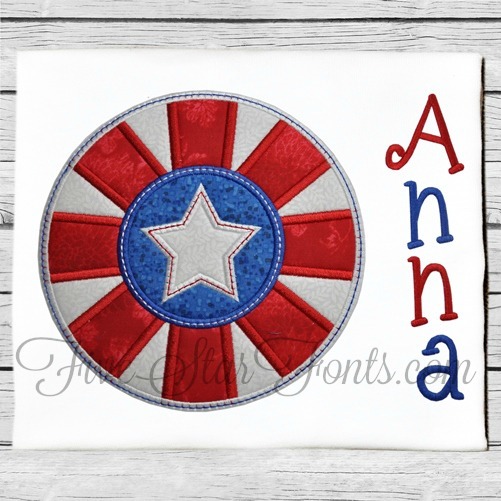 The link to this fun font can be found in 'Related Products' tab above.